Grandstand M offers a great view of the Brazilian Grand Prix, overlooking the grid you will have a privileged view of the pre-race preparations. You will be ideally placed to watch the start of the race, and the fastest section of the circuit. This stand also overlooks turn 1, where the drivers brake heavily at the end of the home straight. This area is one of the circuit’s major overtaking areas, so you will be at the heart of the action. Sector M is also one of the highest points on the circuit, so it offers a great view although partly obstructed by the opposing stand. 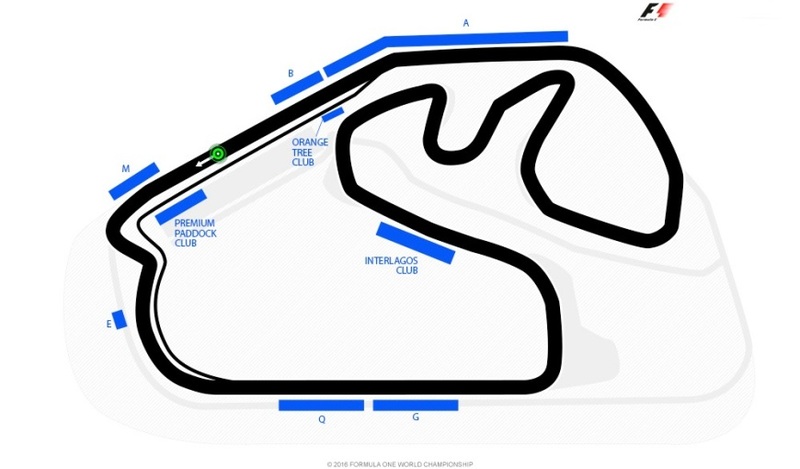 These places really do offer a fantastic chance to see an F1 car performing at its best, under heavy braking and cornering, a great spot to enjoy the unique party atmosphere of the Brazilian Formula 1 Grand Prix. 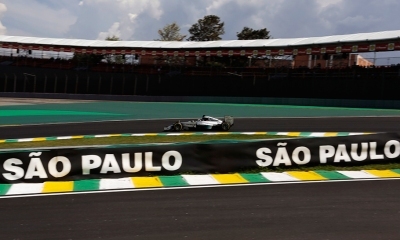 Sector B is a great place to watch the Brazilian Grand Prix, overlooking the final bend before the home straight, as the cars speed out of the final left hand bend to finish a lap. This is one of the track’s main overtaking spots, so you will be at the heart of the action. Seats here also offer a glimpse of parts of the tricky sector 3 thanks to the circuit’s elevation changes, and a chance to see the action in the pit-lane. Sector B also offers a great chance to watch the excitement of the start of the race. You will hear the roar of the engines as the lights go out and the cars charge down to turn 1. Grandstand E (Senna’s S) offers a fantastic view of the Brazilian Grand Prix, overlooking the Senna S as the drivers brake heavily at the end of the home straight, riding the kerbs before attacking the back straight. This area is one of the circuit’s key overtaking areas, so you will be at the heart of the action. This is also one of the highest points on the circuit, so it offers a great view of much of the action, including the home straight, or Reta Oposta, and much of sector 3. Sector E really offers a great chance to see an F1 car performing at its best, under heavy braking, cornering, and rapid acceleration.